The Arson Bomb Squad reports the details of a Criminal Mischief that occurred at 11:25pm on July 3, 2014 in Mineola. Update - 1:15 PM - Further investigation revealed that the building damage came from commercial fireworks that were launched from a tube launcher. Mineola, NY - July 4th, 2014 - The Arson Bomb Squad reports the details of a Criminal Mischief that occurred at 11:25pm on July 3, 2014 in Mineola. According to Detectives, an unknown male subject (no further description) caused damage to the Jericho Terrace Catering Hall located at 249 Jericho Turnpike. Witnesses heard a loud bang, saw smoke and an explosion on the north outside wall of the building causing damage to the doorway. The suspect was observed pointing what appeared to be a pipe in the direction of the damage. The suspect fled the scene on foot last seen running south on Mineola Boulevard. There were approximately one hundred people attending a catered event in the building at the time of the explosion. No injuries were reported. 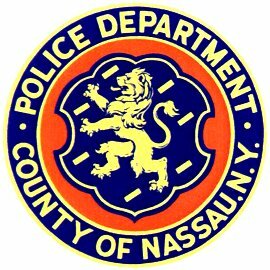 Subject: LongIsland.com - Your Name sent you Article details of "NCPD Crime Alert: Man Wanted for Bombing Mineola Catering Hall"